It is good news that car rental company Europcar has joined a growing list of companies that have pulled out of illegal settlements in the West Bank. 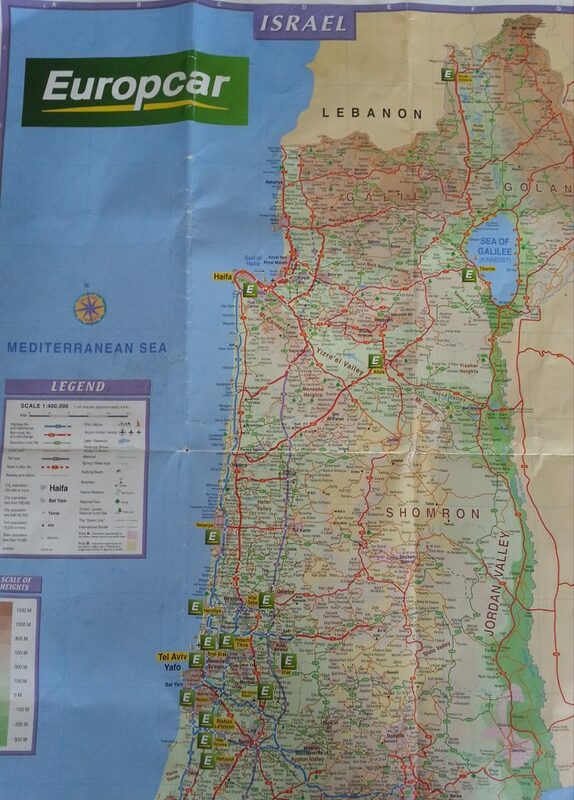 However, Corporate Occupation researchers visited the Europcar office in west Jerusalem recently and we were shocked by the inaccurate map of Palestine that we were given. 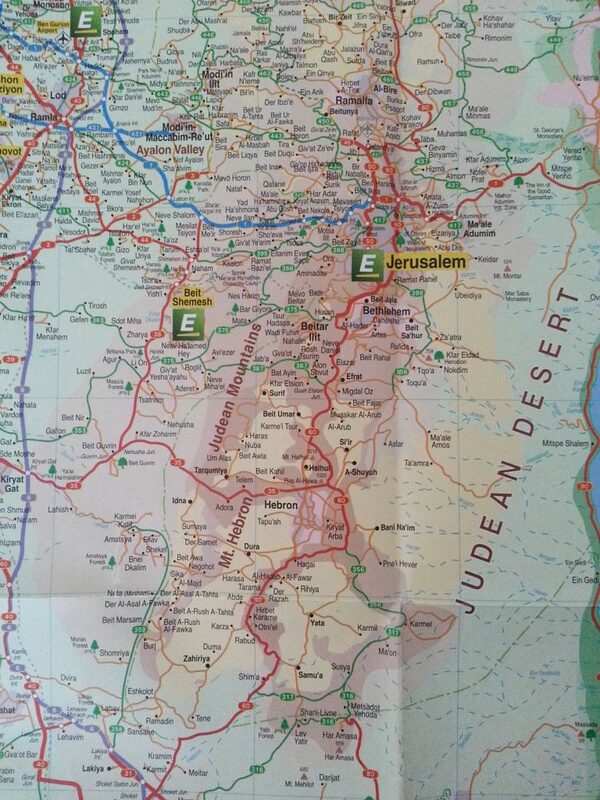 When hiring a car in west Jerusalem, Europcar’s customers are all given a map labelled ‘Israel’. The map gives the impression that the whole of the occupied West Bank is part of Israel. 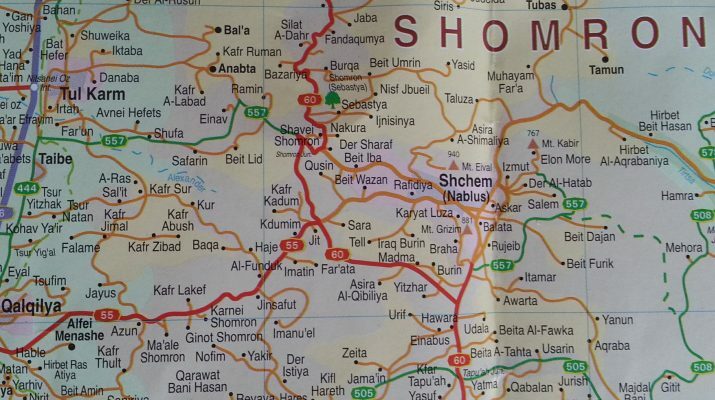 Looking at this map, the average tourist would have no clue that they are about to drive into the West Bank. In 1993, Israel and the Palestine Liberation Organisation signed the Oslo interim agreement. This agreement divided the West Bank and Gaza into areas of Israeli, Palestinian and joint control, know as areas A, B and C. This agreement was intended to be an interim measure until final status talks could be held creating a Palestinian state. Of course, the talks never happened, but areas A, B and C have remained, and are being interpreted to benefit the occupation authorities. 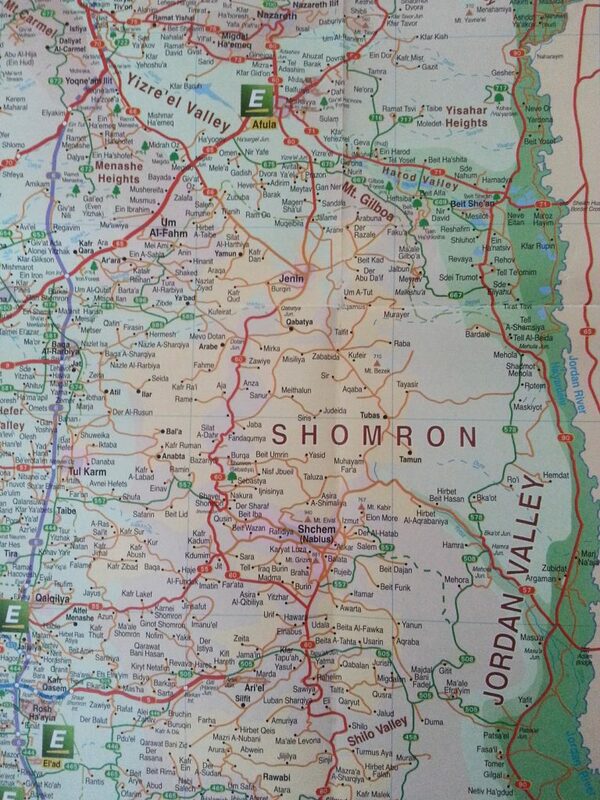 On Europcar’s map, part of the West Bank is labelled on the map as Shomron (a biblical name, also known as Samaria), whilst the biblical Hebrew name of Shchem is used for the Palestinian city of Nablus. The only indication that the West Bank exists at all is that Areas A and B are referred to in the key. Area C land is not marked, and just appears to be part of Israel. 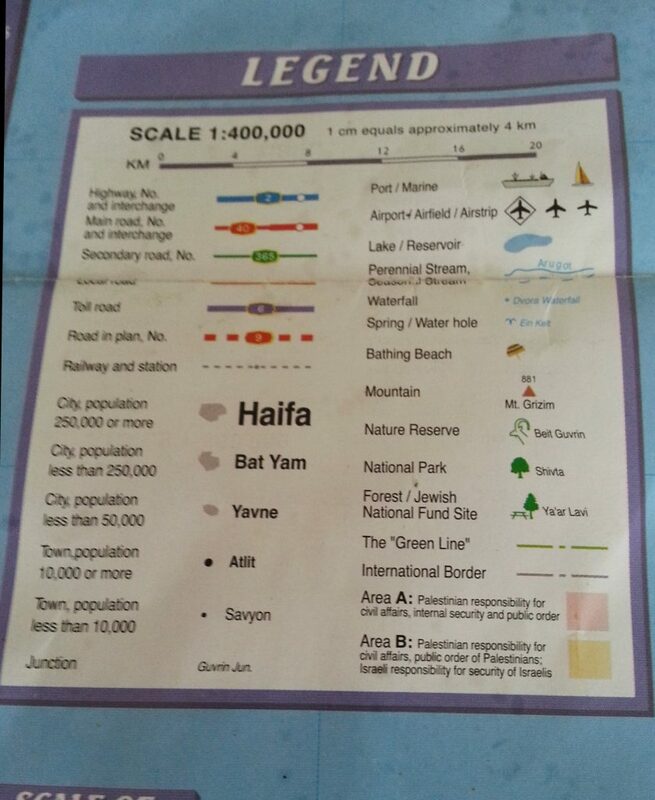 The Green Line, the 1967 armistice line, is marked so faintly that it is barely noticeable, and is referred to in the map’s key in inverted commas, thus further minimising its importance. The map is designed by Israeli company Target, and Europcar’s logo is plastered boldly on the top. By using this map, Europcar shows a blatant disregard for the self-determination of Palestinians in the West Bank who are living under military occupation. Europcar’s brochure quite literally wipes Palestine off the map, and condones Israel’s illegal grabbing of land and expansion of the settlements, as Area C is all categorised as ‘Israel’ on the company’s map. We contacted Europcar about our concerns about the map, but have received no reply so far. Europcar operates in Israel through its franchisee, Albar Car Fleet Ltd. By allowing Albar to use its name, Europcar obviously sees no problem with carrying on with business as normal with Israeli companies, while the Israeli state continues its crimes against the Palestinians in both the West Bank and Gaza. By continuing to allow Albar to be a franchisee, Europcar is choosing to ignore the suffering of those who have lived their entire lives under Israeli apartheid and occupation. The only way to remain ethical is to divest from Israel.